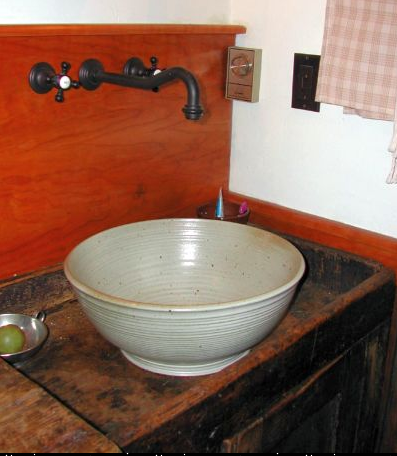 Are vessel style sinks over? 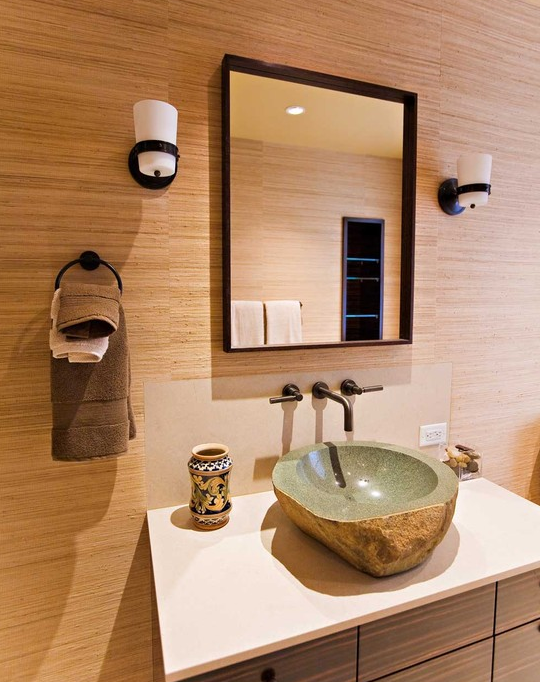 Feng Shui By Fishgirl thinks they have only just begun to catch on. 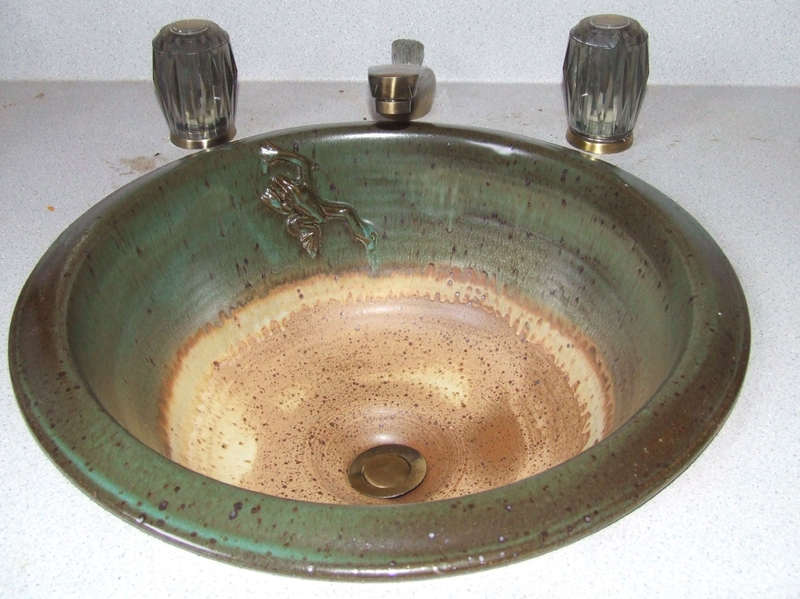 They have yet to become so common that you don’t gasp “Aaaah!” every time you use the powder room at a new friend’s house who happens to have one in their bathroom. 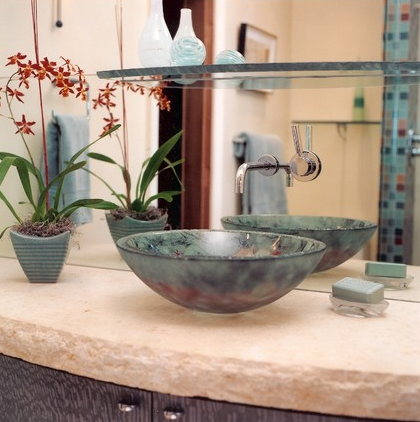 Vessel sinks come in a variety of options: metal, glass, porcelain, clay, even wood. 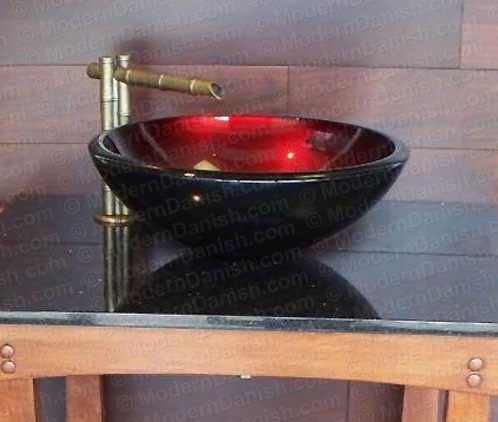 All of the elements of feng shui —even fire via use of the color red!–can be harnessed with a vessel sink option. 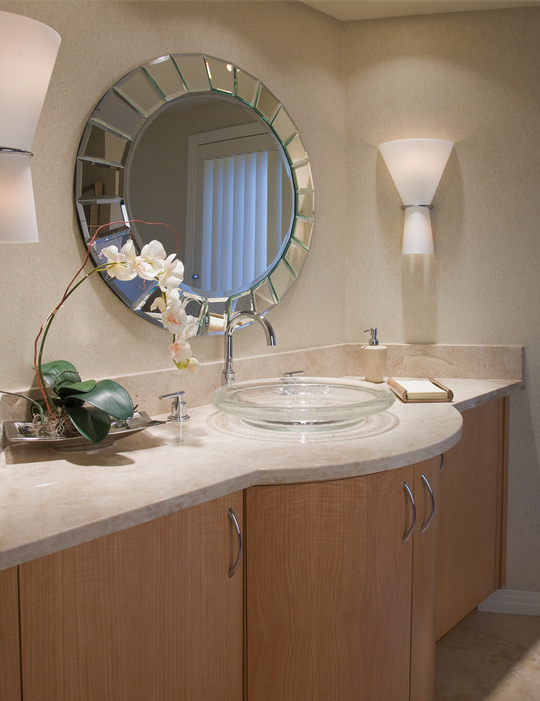 They don’t have to be round, but curves do add to yin yang balance in feng shui terms. 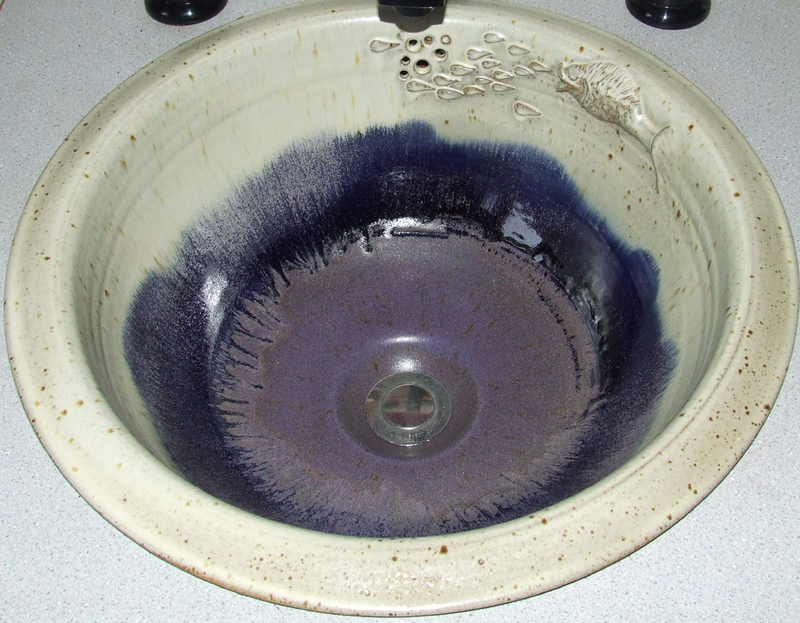 We found some good examples at Houzz.com and some handthrown sinks in Maine at Wiltjer Pottery. 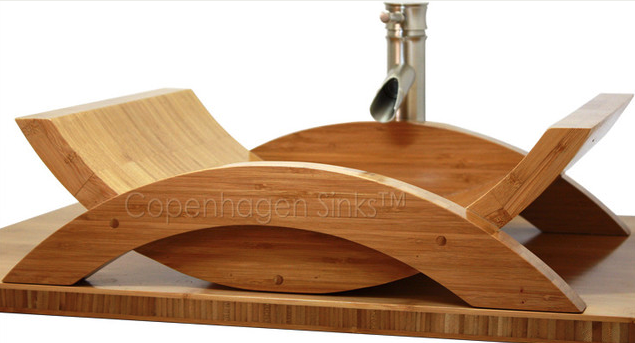 Vessels: Do you sink it’s ovah, dahlink? Thank you so very much Cecilia for taking the time to post a comment about my blog. I appreciate the positive feedback and am happy you enjoy the information I provide.